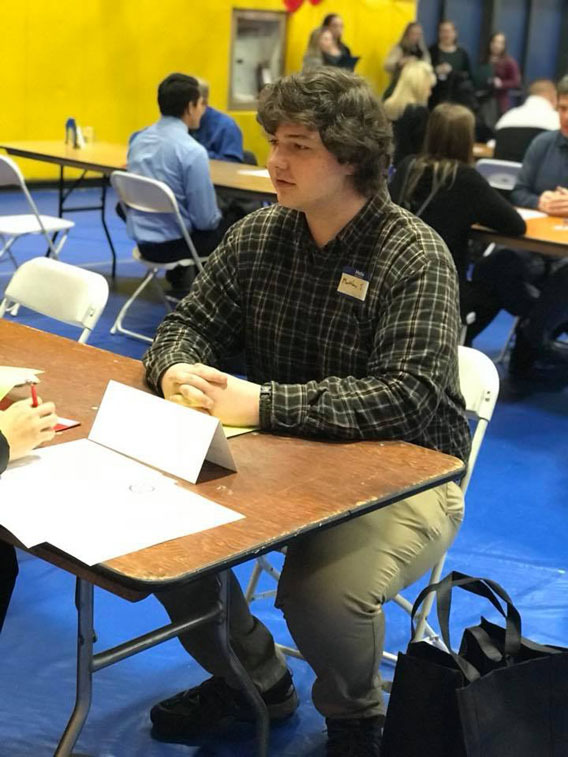 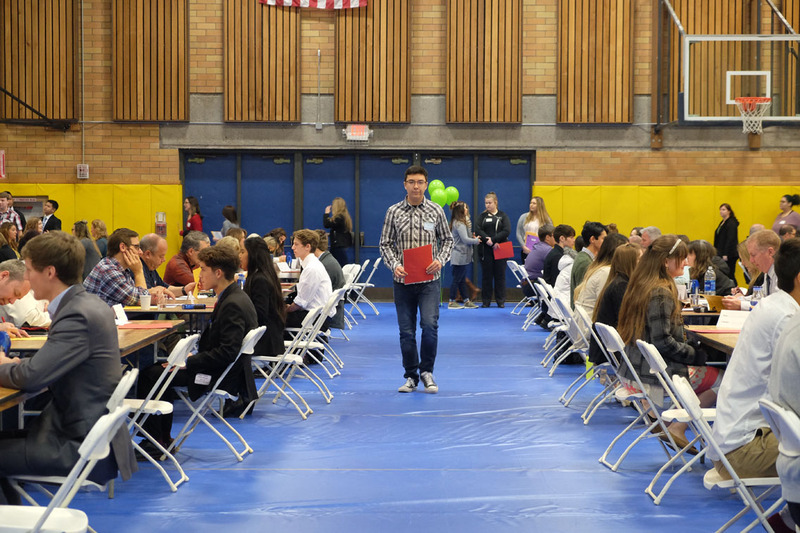 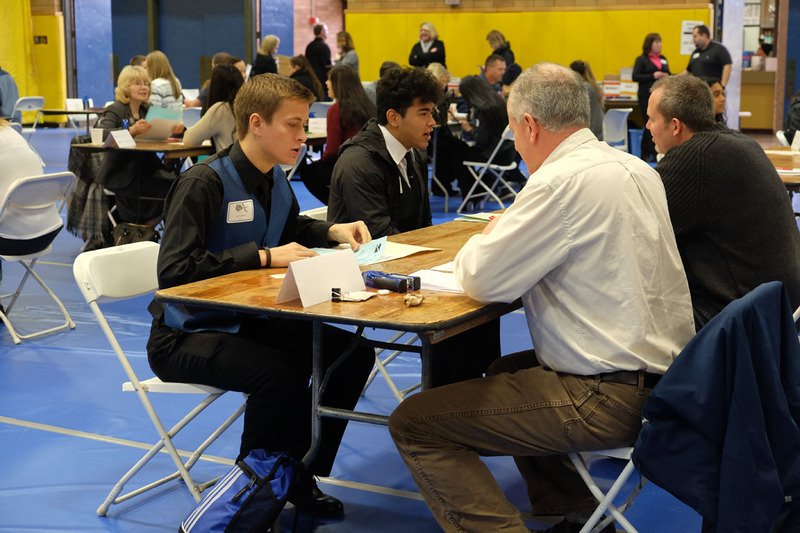 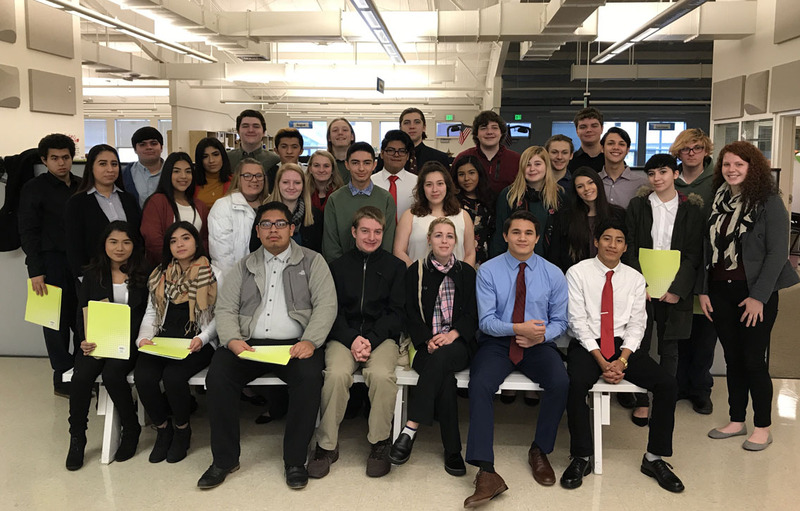 The 30th annual Albany Chamber of Commerce Youth Job Fair brought more than 1,300 high school seniors, including all seniors at Albany Options School, South Albany and West Albany high schools, to Linn Benton Community College this week. 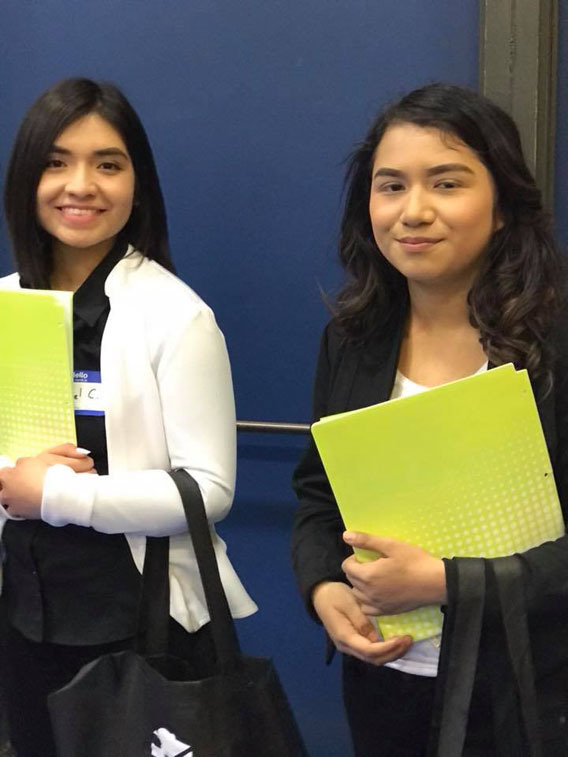 GAPS sends all high school seniors every year to complete students’ career education requirement for graduation. 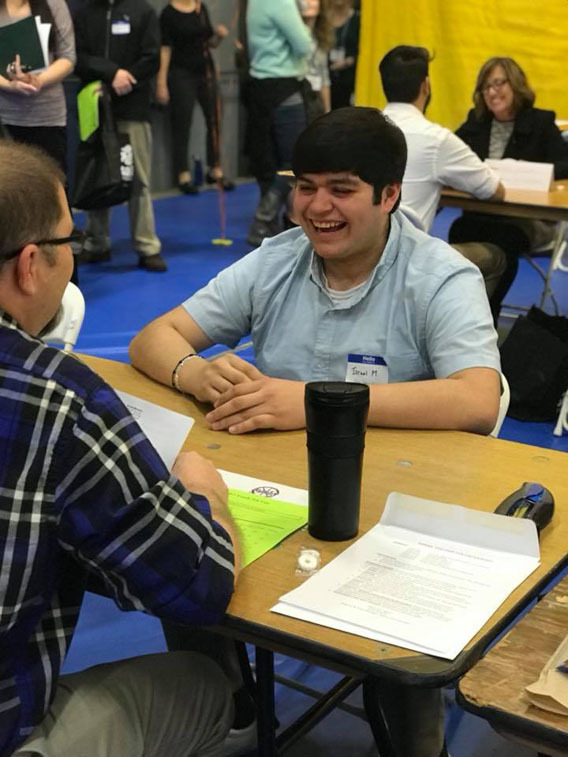 The event offers students who will soon be entering the workforce or pursuing career training an opportunity to learn more about careers and practice job seeking skills. 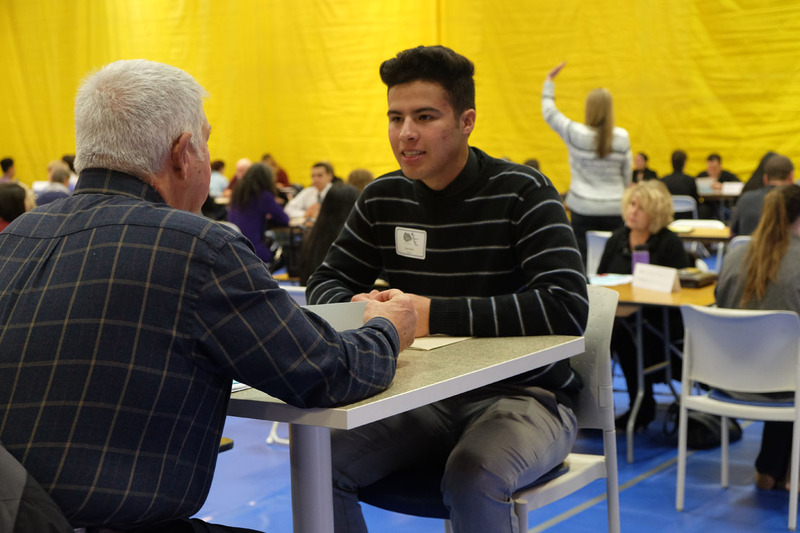 Students cycle through three sessions: a resource fair that includes industry representatives who can answer questions and set up application interviews, an inspirational speaker, and mock interviews that allow students to practice interview skills. 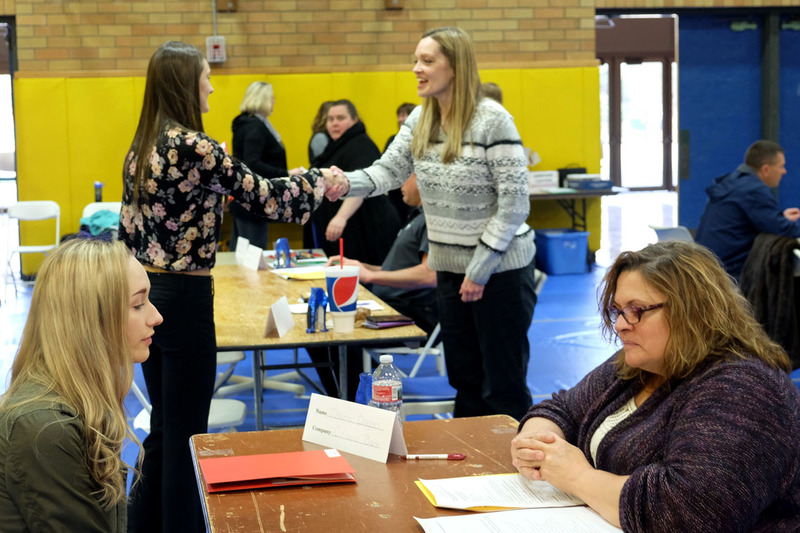 Each student can interview twice. 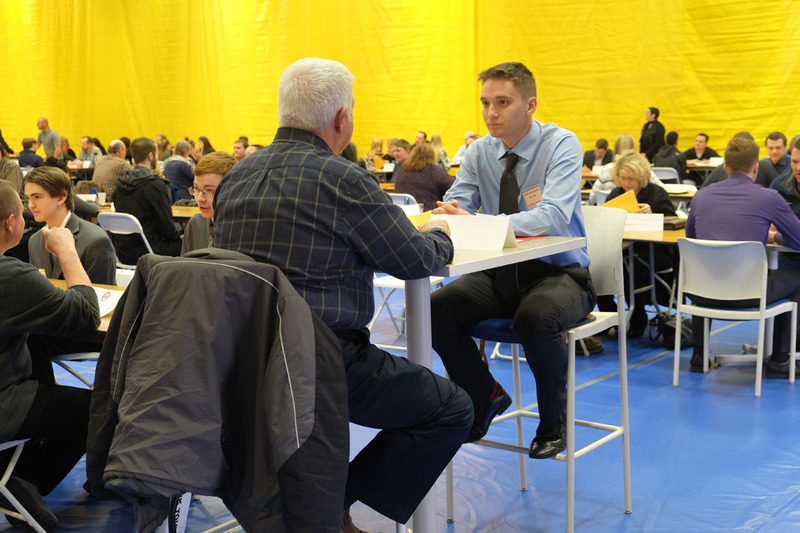 Interviews are conducted by 250 volunteers. 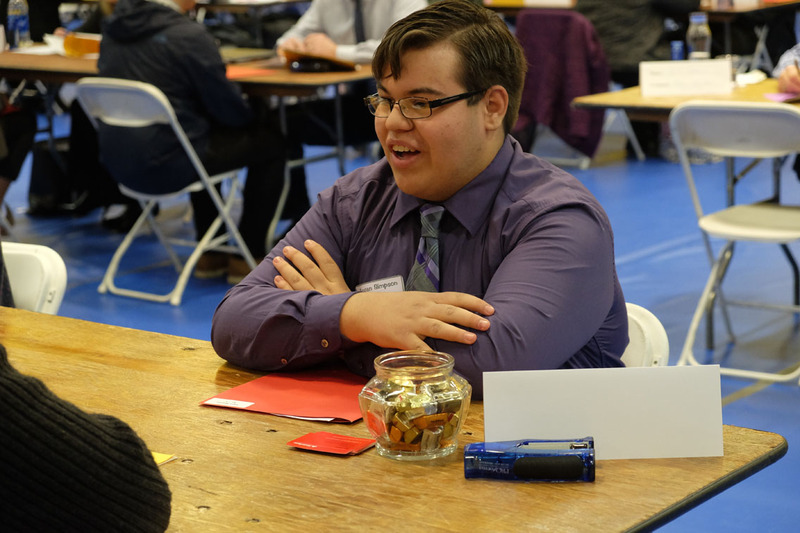 Some interviewees offer jobs to students during this mock interview process. 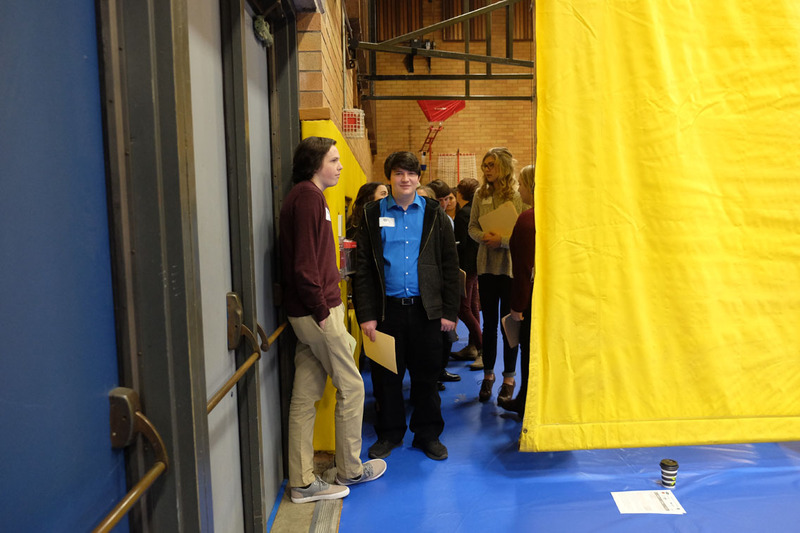 The event is part of the Chamber’s Pipeline to Jobs project to help students find meaningful work and employers find qualified workers. 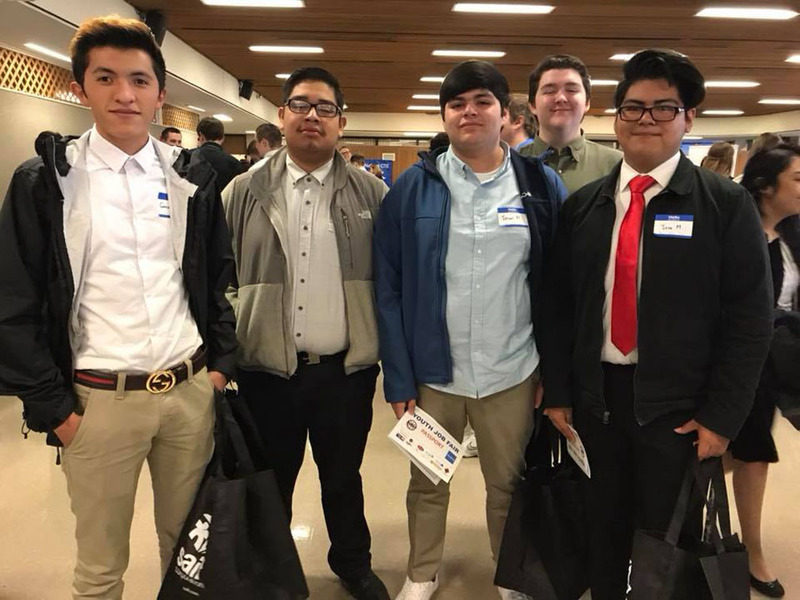 It is billed as a community program to provide career guidance to our most important resource – the youth of Linn and Benton counties. 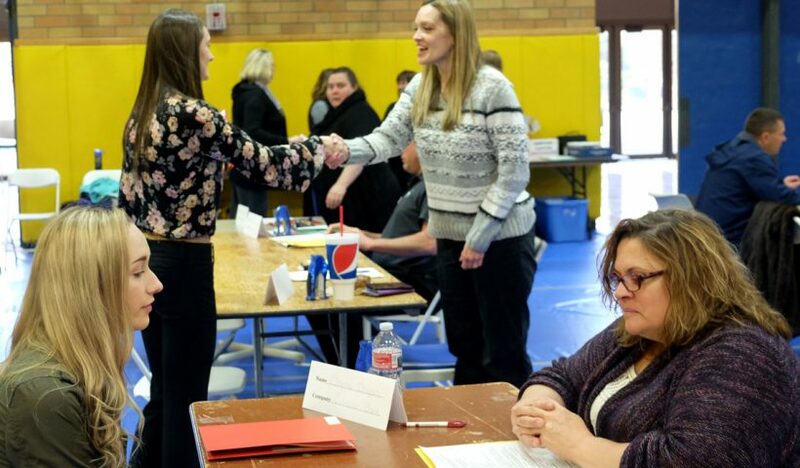 “It is a huge collaborative effort, and the community is so supportive,” said Josefine Fleetwood, executive director of the Pipeline Project. 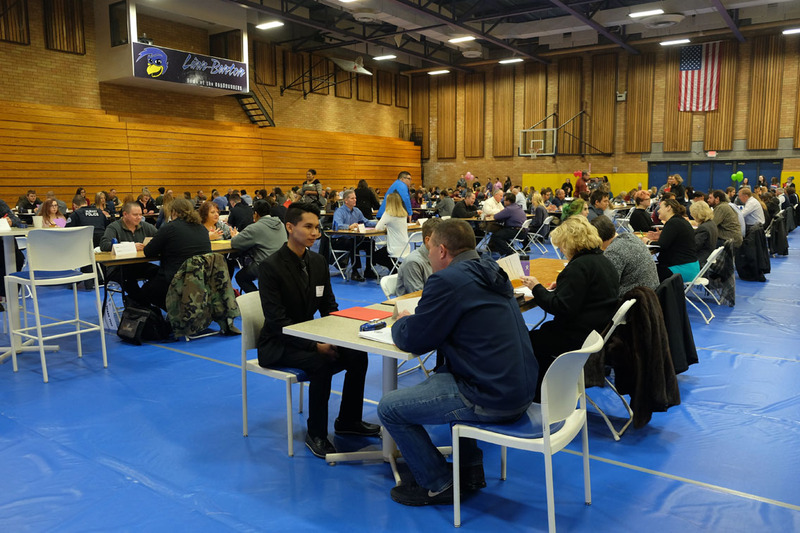 “We couldn’t provide the extensive opportunities we provide without support from employers. 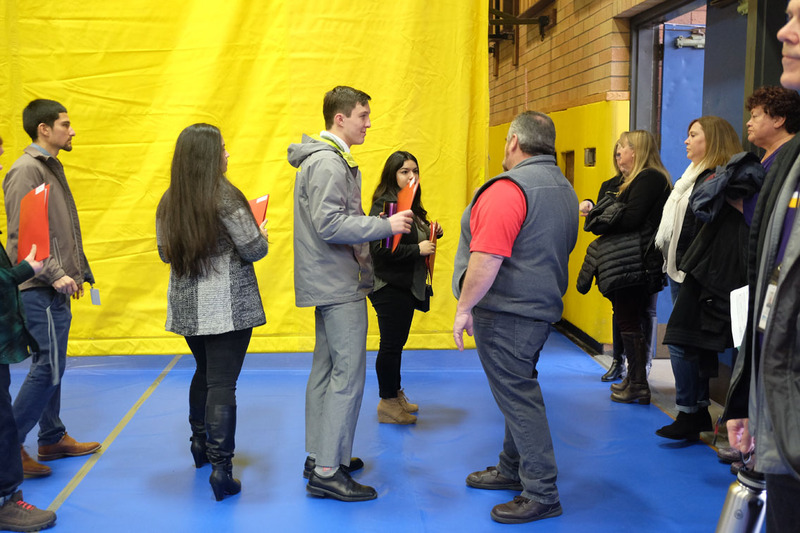 Albany Options also contributed community service time to the event. 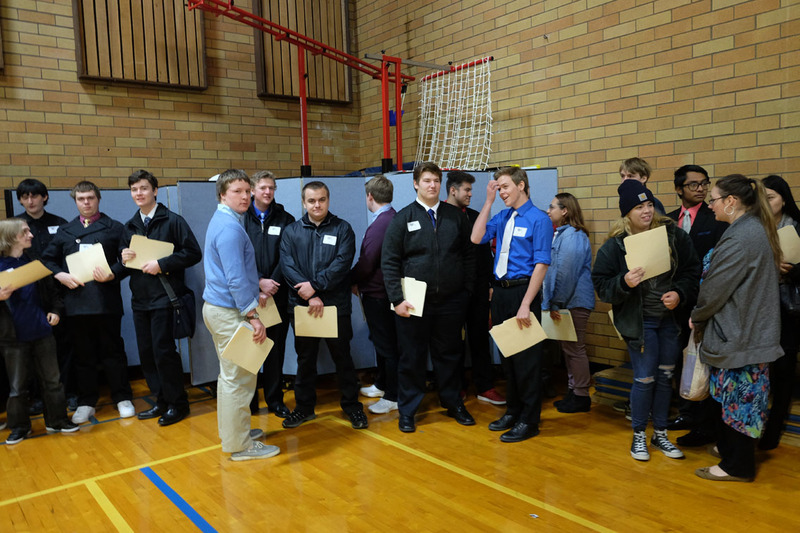 The 34 students who attended stayed after the event to take down all of the tables and chairs as well as clean up the whole gymnasium where the mock interviews were held.